Posted June 30, 2017 & filed under News. 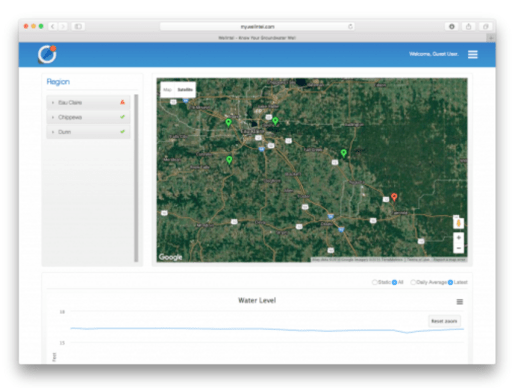 Wellntel’s Community Groundwater Network in a Box is a citizen-science breakthrough and enabler of true public/private partnerships to improve rural life and resource resilience. Five systems, well-placed, create a new standard for local groundwater understanding and agreements. A Community Groundwater Monitoring Network in a Box is a way for a community to come together to learn and grow. A Sponsor (a township, business, village, not-for-profit, or group of neighbors) pulls together the funds to purchase the sensors and data servicers, and recruits Members who agree to host this systems and create the network. The network gathers information about groundwater that has not been available until now, and can be used to ensure community resilience. Placed strategically in a county, watershed, around high-capacity pumping wells, or near a surface water body, a Community Groundwater Network is an opportunity to assess and/or monitor local risk, view groundwater pumping impacts on local lands and people, see seasonal variations/impacts on the resource. Sensors can be programmed to deliver near-realtime data at a time-interval as long as once a week, or as frequent as once an hour (or faster, depending on application). Programmable alerts will call for action when it is warranted. Telemetry is included: data is sent using existing internet infrastructure (very small data requirements), with no fees for bandwidth or airtime. Cellular telemetry is available for remote locations. Calibration is one-time and lasts as long as the system is well-maintained. 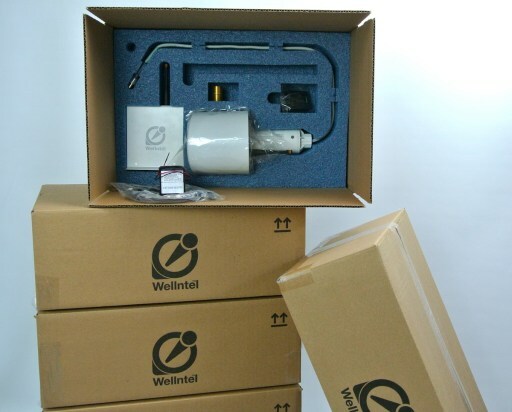 Five Wellntel Static Kits, including sensors, batteries, gateways, and all parts, pieces and instructions to install and commission and run the network for three years. End to end security and privacy. Device-level encryption and Sponsor/Member privacy control. Sponsor Program Support, including boilerplate agreements, location planning, well-suitability tools, installation guidance and on-call technical support. Software tools to support local diagnostics, D2W snapshots, and more. Three years of Sponsor Data Services, including monthly data scrubbing, preparation and coding for external models, databases or reports. Sponsor Data Services can be prepaid or billed and paid monthly. Organizations interested in Sponsoring a first network between now and August 15th are invited to take advantage of special discounts on hardware. Email cpdunning@wellntel.com or call 844-935-5426 to discuss project goals and receive discount coupons.